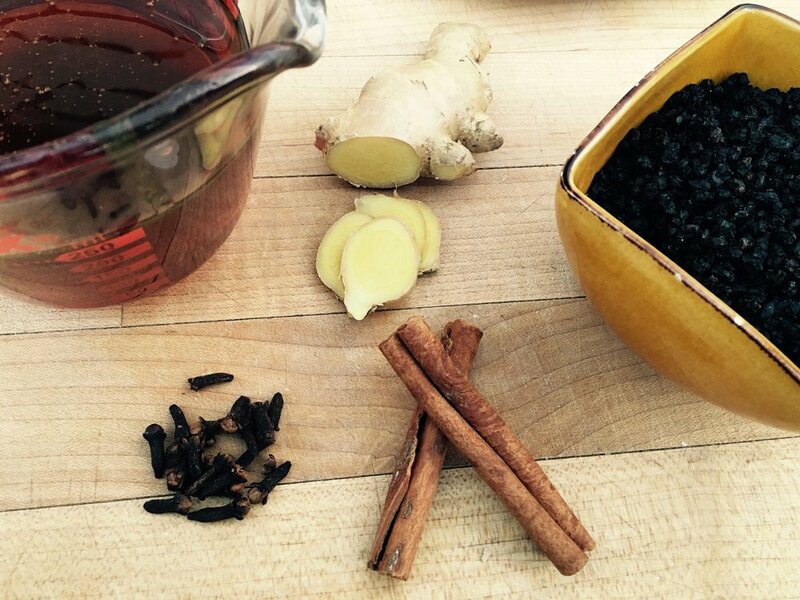 This delicious Elderberry Cold Syrup keeps well in your fridge and is a delightful remedy for the sniffles, coughs, and fever of the common cold or even flu. If you’re a parent then Back-to-School can be the most wonderful time of the year! It can also be a dreaded time of year. Before I learned some back to school strategies it seemed like my kids always got a cold or flu within 2 weeks of starting school. It’s as if I sent them to a giant petri dish of virus and bacteria and hoped for the best. I was always sorely disappointed when we had illness run rampant through their classrooms and then our home each year. After becoming an herbalist and natural medicine geek I developed a few back-to-school strategies to boost my kids immune systems and keep them well. Herbal medicine may seem like a new concept but it is actually the oldest form of medicine in history. The use of plants as medicines predates written human history. Most women have had at least one urinary tract infection (UTI) in their lifetime. They all agree that it is one of the most uncomfortable conditions they have experienced. We are lucky to have many herbal remedies available to us for natural treatment of bladder or urinary tract infections. Seasonal allergies can be a killer. The sneezing, congestion, itchy and watery eyes can leave you feeling worn out and fed up. Over-the-counter allergy medications can make you drowsy and groggy and they are very hard on your adrenals. There are natural options for you that won’t leave you feeling worn down and that actually work. Now each person is unique but I find that a combination of the following suggestions works best. Shingles, also known as herpes zoster, is a viral infection of the sensory nerves. This is the same virus that causes chickenpox. For best results with this painful condition it is best to explore a combination of pharmaceutical and natural treatments for shingles. Thyme (Thymus vulgaris), like many of our other aromatic kitchen spices, was used as a meat preservative in ancient times. This led to its use as a flavoring spice as well. It was also traditionally used medicinally as a cough remedy, digestive aid, and treatment for intestinal worms. Thyme was a symbol of courage in the middle ages; Noblewomen would sew sprigs of thyme on scarves and give them to their favorite knights as they left on crusades. Thyme was a powerful antiseptic for wounds on the battlefield. In the 17th century Thyme oil was commonly used as a topical antiseptic. The oil contained two chemicals – thymol and carvacol- that account for its medicinal value. These chemicals fight several disease-causing bacteria and fungi. I love reading about how cultures have historically used herbs for healing in their communities because we find that not much has changed in terms of how we use the herbs today. With the findings from studies being performed on plants as medicine we often find that there are chemicals within the plant that perform the functions that Eclectic physicians found to be true based on their usage in their patients. Contemporary herbalists of today use red clover in much the same way as the Eclectics did, as an expectorant for coughs, whooping cough, and bronchitis as well as a digestive aid and for skin conditions. Red clover is also used as a mild blood purifier (alterative) and for hot flashes due to its estrogenic isoflavones. It’s 1:00 in the morning and your child wakes up with an earache. It’s the middle of the night, no doctors are open, what do you do? This usually involves a long night of tears, from both the child and the mommy, but you have a natural earache remedy right in your kitchen and you didn’t even know it. Garlic oil has saved the day (or night) many times in my house. Garlic is highly antibacterial and the oil is also soothing. In most cases I have been able to completely avoid having to do any antibiotics by using this simple remedy although a few times the infection was already too progressed and a trip to the doctor was needed. In these cases the garlic oil made the earache less painful until we could get medical treatment. Essential oils are growing in popularity and for good reason. Various essential oils have been proven to be antiviral, antibacterial, and antifungal in several studies. I reference the studies below if you want to read them. Essential oils are plant oil concentrations extracted by steam distillation making the finished product a highly concentrated plant oil. These oils can be used topically, as inhalations, and certain oils can be used orally. Essential oils are plant medicines that are easy to use and powerful in a short amount of time because of their concentration. In cold and flu season there are several oils that are my best friends. I like to use these oils in combination as a steam inhalation or even as a chest rub to fight virus and bacteria but also to loosen congestion and to open airways. As a kid I used to love to pick the fuzzy dandelion and blow the seed pods into the air, I also loved dandelion’s bright yellow flower. I had no idea it was considered a pest in the yard and I didn’t care; I just thought they were beautiful. Now I look at dandelion in a whole new way and it actually pains me to see people spraying these plants with weed killer. All parts of the dandelion are useful and edible; the flower, the leaf, and the root. Dandelion is a very rich source of beta-carotene which we convert into vitamin A. This flowering plant is also rich in vitamin C, fiber, potassium, iron, calcium, magnesium, zinc, phosphorus, B complex vitamins, trace minerals, organic sodium, and even vitamin D. Whew, that’s a lot, but not everything. Dandelion contains protein too, more than spinach. It has been eaten for thousands of years and used to treat anemia, scurvy, skin problems, blood disorders, and depression. Turmeric (Curcuma longa) is a culinary spice that has been used for centuries in many cultures and is the main ingredient in Indian curries. A relative of ginger, the brightly colored herb also gives American mustard it’s yellow color. Medicinally, turmeric contains antioxidant properties that are highly effective for reducing inflammation. Inflammation happens in many degrees. If you bump your knee on the coffee table, it gets red, painful and swollen; this is inflammation. But there are low-grade degrees of inflammation as well. This is the inflammation that you can’t always see but that makes muscles and joints ache and that also causes digestive issues and allergies. It is this underlying inflammation that is present in conditions like fibromyalgia, chronic fatigue syndrome, arthritis, diabetes, and even dementia. This low-grade inflammation is always present before dis-ease sets in and it’s important that we take steps to control it. I harvested some fresh catnip from my garden. The soft velvety leaves have such a pleasing fragrance that I couldn’t keep myself from pressing the bunch of leaves to my nose and taking a deep, loving whiff. I then spent time separating the leaves and flowering tops from the stems so that I can dry and preserve this beautiful, fragrant plant to be used in medicine. You have most likely heard of catnip in relation to its attractiveness to cats, but did you know that catnip has valid medicinal uses for humans? Catnip (Nepeta cataria) is a very soothing and sometimes sedative plant, which makes it useful for relieving tension and anxiety and improving sleep. Catnip is best taken in the form of a tea but can also be used as a tincture. I am a lover of the sensual things. I feel strongly that happy relationships have deep intimacy and fun romantic times. The reality though is that life tends to make us too busy to slow down and focus on this aspect of our relationship and we begin to lose desire. Most often the busy mind gets in the way; but there is a fabulous little herb that has been known for centuries for just this purpose. I recently finished an herbal extract of Damiana (Turnera diffusa) and it is so good that I had to share with you why I chose to make this extract. Damiana leaf had traditionally been used as an aphrodisiac by the Mayan people. The contemporary people of Central America still rely on damiana today for its usefulness in supporting a healthy libido. It has been well known among southwestern cultures as a sexuality tonic because the stimulation of the herb brings oxygen to the genital area. Damiana also increases energy levels; most often libido is low when we just have no excess energy to expend. Herbal teas are the oldest form of medicine. Traditional cultures would gather the plants that grew in their area and would steep them for tea as a way to administer medicine for all types of ailments. Herbal tea can be used to nourish the body with vitamins and minerals, to calm the nervous system, to improve focus and energy, to relieve colds and flu, and simply as an enjoyable beverage hot or iced. Herbal beverages can be a delicious beverage tea, also called a tisane, or as powerful medicine. The type of brewing method you will use is based on which parts of the herb you are using. If you are making a tea of flowers or leaves then you will use the infusion method. Herbal supplement safety is being called into question again with the recent incident of a former NBA player who was found unconscious in a Nevada brothel after using cocaine and alcohol along with an herbal Viagra-like product. The media focused on the herbal product as a contributing factor to his condition, seeming to be a measure to draw attention away from the drug and alcohol use and place it on the so call “dangers” of unapproved herbal and dietary supplements. Safety, purity, and quality of any product taken is important so let us take a look at the differences between supplements and drugs in terms of FDA approval, the regulations for producing a dietary supplement, and the current statistics relating to deaths attributed to supplements and pharmaceuticals in America. The focus of the media stories discussing dietary supplements, which herbal supplements are, relates to the safety and the fact that they are not FDA approved like drugs are. It is correct that they are not FDA approved; the approval from the FDA relates to a substances approval to be listed as a drug (pharmaceutical). In order to be listed as a drug, a substance must undergo clinical trials and show that their benefits outweigh the risks to humans who take the medication. As winter hits so do colds and respiratory illness. Coughing, stuffy head, fever, and fatigue are all a part of the common cold and respiratory illnesses of the season. The first natural remedy I reach for when someone in my house begins to catch a cold is a good strong cup of hot herbal tea and I share one of my go-to herbal tea recipes below. Herbal tea is a soothing way to get your medicine and provides many medicinal properties we can’t access in a capsule. The following Immune Tea will relieve respiratory symptoms and stimulate a fever to stimulate the internal immune fire and aid the body in mounting a strong response to viral infections. The Chinese name for schisandra (Schisandra chinensis) is wu wei zi, which means “five-flavors fruit” because this berry has all five flavors (sweet, sour, bitter, pungent, and salty). Each taste in an herb is related to a particular function for a certain organ. Having all five flavors tells us that the schisandra berry is beneficial for the five yin organs: liver, kidneys, heart, lungs, and spleen. The five flavors give us clues to the health benefits of schisandra berry as a natural remedy. The recipe for herbal infused oils is simple and fun. There are several methods which can take anywhere from 1-7 days to complete. Which one you choose will depend on your style and preference. I am a believer that your intention when making herbal oils, along with the quality of your herbs, will give you excellent finished results no matter which method you choose. I recall the first herbalism class I attended, my teacher began to speak about having a relationship with our herbs. She would say, “Talk to the plants, let the plants talk to you. Develop a friendship with the plants.” I thought she was nuts!